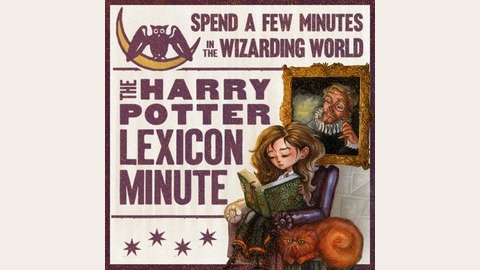 The Harry Potter Lexicon website has been in existence for almost two decades. Over that time, J.K Rowling thrilled us with her magical creation — in novels, interviews, on her websites, on Twitter, and more. And here at the Lexicon, a small group of dedicated fans have worked very hard over all those years to catalogue all the magical details she revealed. The Lexicon website has always been seen as the gold standard for careful research and faithfulness to Rowling’s created world, all because of these amazing fans. Now we editors of the Lexicon would like share some of what we’re so passionate about in a new way. So we’ve creating this podcast as a way for you to hear from us. It’s called the Harry Potter Minute, and in it you’ll hear the voices of our editors sharing a few of the many little things which delight us about the Wizarding World. We are fans from all over the globe who love to spend our time keeping track of the interesting details and obscure references which make Rowling’s work so rich and wonderful. 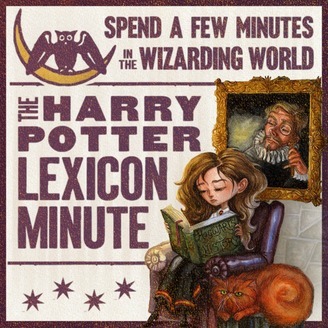 In each podcast, two to three minutes in length, we’ll talk about anything from cool trivia and interesting canon passages to the latest Wizarding World news. We might share something that’s stuck in our heads as we researched the books or maybe recall some event from the history of Harry Potter fandom. The podcasts will come out a couple of times a week, on Wednesdays and Saturdays. We hope you’ll join us! And we’d love to hear from you as well. Feel free to use the comment section on the blogpost for each podcast to post your thoughts. Special thanks go to Felicia Cano who gave us permission to use her amazing artwork of Hermione reading a book for the logo, which was brilliantly created by Kim B. The post Taking a Short Break appeared first on The Harry Potter Lexicon.